Is this from Pegu Club? How I would love the recipe. 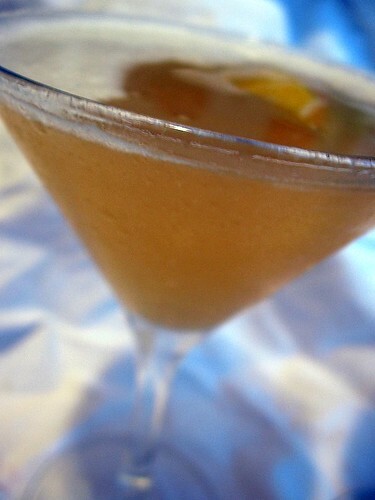 It’s based on the Pegu recipe, but I cheated and used brewed tea, rather than infusing the gin the way Pegu does. I’ll post the recipe this weekend. I think it’s quite tasty, and the nice thing about the brewed-tea method is that you can try it at home without going to the work of infusing gin with tea leaves. So try it out!